No travel insurance, no peace of mind, no vacations! Yes, even though you are enjoying that great vacation. In the back of your mind you are wondering what happens when I need medical care while I am outside the U.S.? I do! I travel regularly outside the U.S. and I know anything can happen where I might need medical attention. A sprained ankle from uneven sidewalks, sideswiped by those motorcycles zipping in and out of street lanes, or just a very bad stomach virus from some bacteria that was embedded in one of my dinners at a local side road restaurant are just a few possible reasons why I would need medical insurance when I am overseas. What are the main areas of travel insurance you and I need to keep in mind? Political evacuation in case the country / city you are in becomes a hot bed of wild gun fights, etc. 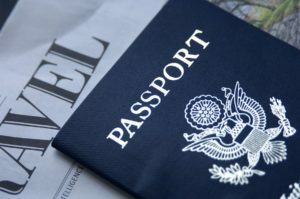 Blog Home > International Travel Insurance > Latte factor > Reasons why travel insurance is so important > 2013 - 2019 updates > No travel insurance, no peace of mind, no vacations!